A new Ekiti law prescribes the death penalty for those found guilty of cultism and life imprisonment for persons found guilty of aiding and abetting cultism. 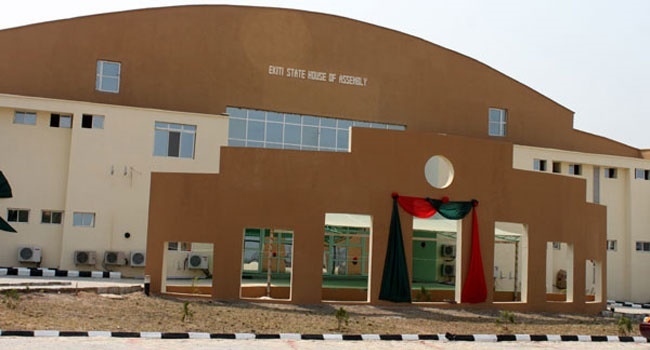 A bill seeking to prohibit the activities of secret cults scaled third reading at the Ekiti State House of Assembly on Tuesday. The substance of the bill is the prescription of the death penalty for those found guilty of breaching the law in that regard. Persons found guilty of aiding and abetting cultism would also bag life imprisonment. All that is left is for it to be signed into law by the governor. The new provision was an amendment to the law against cultism, enacted by Ayo Fayose during his first tenure as governor of the state. The law had provided a seven-year imprisonment for anyone convicted of cult activities, whereas those aiding and abetting the act were to be imprisoned for five years. The bill titled, ‘Secret Cult (Abolition and Prohibition) [Amendment] Bill, 2017,’ gained the lawmakers' attention following increase in cult activities at the Ekiti State University, Ado Ekiti which led to the killing of students recently. Before the passage, the House Leader, Akinyele Olatunji, recalled the killings at the university due to cult activities. “We will not allow any group to turn Ekiti into death trap area,” he said, while thanking the governor, Ayodele Fayose, for introducing the bill. “We cannot fold our arms while some people would constitute themselves as a menace and eliminate the lives of innocent people of this state,” speaker of the house, Kola Oluwawole, said, while making his remarks on the bill. “It is an everlasting sorrow for someone to lose his child or relative. The bill will reshape the lives of our youth. It will ‘touch’ those who intend to join any secret cults and those who have the intention to take another person’s life.